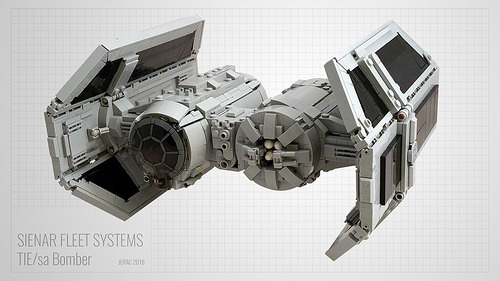 Jerac follows up his amazing LEGO TIE Fighter and Interceptor with my favorite Imperial fighter, the TIE Bomber (despite its limited screen time in The Empire Strikes Back). The main technique of note is the tapering of the cockpit cylinder into the canopy; that transition is smoothly done. 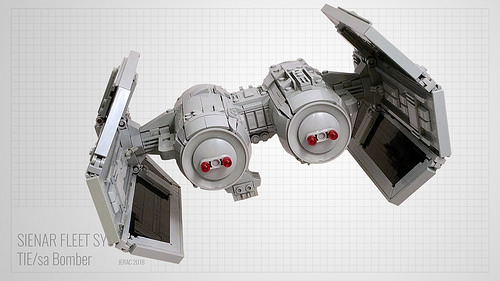 Overall, his TIE Bomber is a master class in attention to detail. 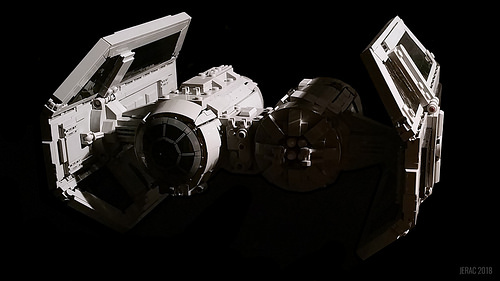 The TIE Bomber looks even better going, but perhaps that’s because being alive to see this view is rare indeed. With its harsh lighting, this shot looks like it could be ripped straight from a still frame of Empire and highlights just how good Jarek’s model is. That last pic is amazing.